Hassle free and fast loan process with minimal paperwork. Borrow up to $40,000 based on the value and condition of your vehicle. Simple and easy to understand loan terms and conditions. No credit checks or job verification to qualify for an Easy Car Loan in Hamilton. There are no penalties if you prepay the loan or any hidden charges. Keep possession of your car during the loan period. Longer loan terms than other lenders. Pay loan over a span of 4 years. Lowest interest rates in the industry. Lowest monthly payments start from $97 per month. 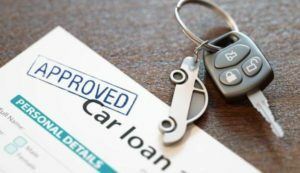 How to apply for Easy Car Loan in Hamilton? Go to our website to apply for car collateral loan online or contact us over the phone. Let a specialist evaluate your vehicle and estimate a loan amount. Submit the necessary documents and complete other paperwork. All terms and conditions are written on the contract that you sign.